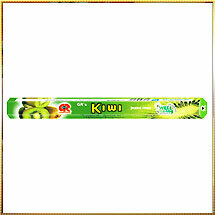 Long burning, less smoke, and rich fragrance make our range of Kiwi Incense Sticks immensely popular in the market. We have used premium combustible materials to ensure that sticks release less smoke. And when it comes to fragrance, we have researched for exotic and rare flowers, degradable biotic materials, and essential oils to derive a smell that mesmerizes all. These ingredients are hand crafted ensuring 100% purity keeping Indian rituals in mind. Beautifully wrapped in fancy packaging that also assure precise sealing of the scent also compels the buyers to grab our products. With us, prices are always pocket friendly.